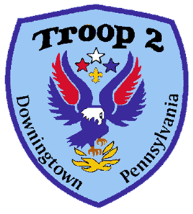 The Patrol Leader is the leader of the new Scout patrol and works with new Scouts. He helps them feel comfortable and earn their First Class rank in their first year. He represents this patrol on the Patrol Leader’s Council. The first year as a Boy Scout is a critical time with new places, new people, new rules, and new activities. The New Scout Patrol Leader is a friend to the new Scouts and makes the first year fun and successful. This is an important position. The New Scout Patrol Leader may easily be the most important job in the troop. He has the closest contact with the patrol members and is in the perfect position to help and guide them. Reports to the Assistant Senior Patrol Leader for New Scouts. Appointed by Senior Patrol Leader. Coaches the assistant patrol leader of the new Scout patrol on his duties. Attends Patrol Leader’s Council meetings. Councils individual Scouts on Scouting challenges. Plans and steers patrol meetings and keeps patrol members informed.